South façade from Boerum Place. 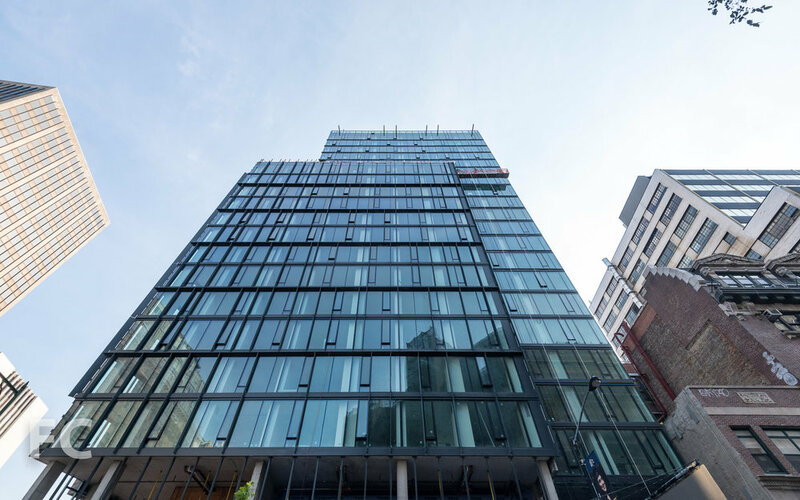 Construction is wrapping up at 415 Red Hook Lane, a residential rental tower in Downtown Brooklyn from developers Quinlan Development Group and Lonicera Partners. 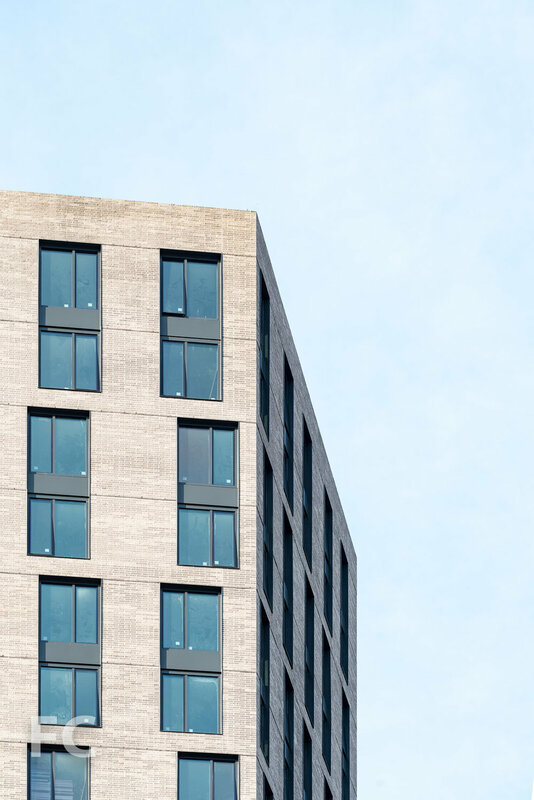 Designed by Ennead Architects, the 21-story, 108-unit tower sits at the corner of Red Hook Lane and Livingston Street. Close-up of the south facing window wall façade..
A window wall clads the south facing façade, with a more solid brick and punch window design for the other three elevations. Looking up at the south façade from Livingston Street. West façade from Boerum Place. Residents will have access to amenities that include a fitness room, lounge, rooftop terrace, residential and bike storage, and laundry facilities. The rooftop terrace features panoramic views of Downtown Brooklyn and Brooklyn Heights. The view north towards Downtown Brooklyn from the rooftop terrace. The view of Boerum Place with the Midtown skyline beyond. The view west towards Brooklyn Heights and the East River waterfront from the rooftop terrace. 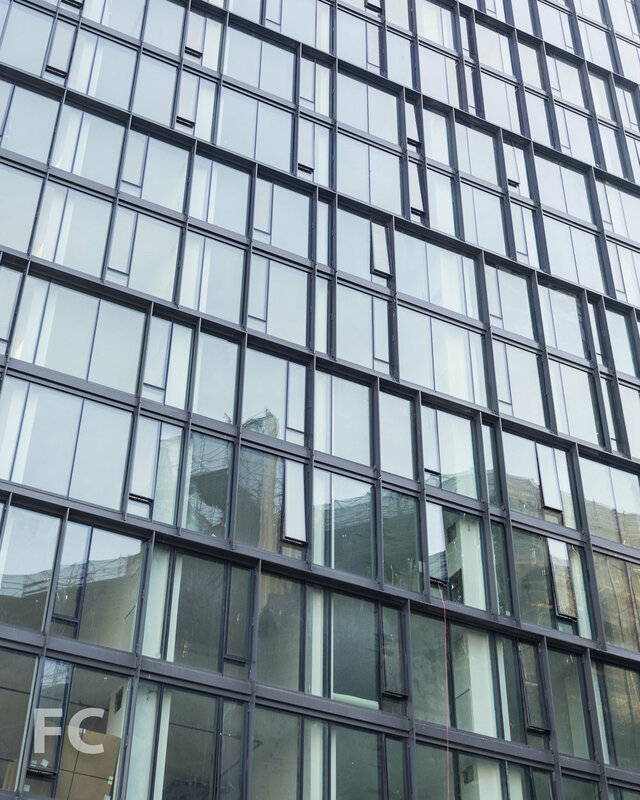 Architect: Ennead Architects; Developers: Quinlan Development Group and Lonicera Partners; Program: Residential; Location: Downtown Brooklyn, New York, NY; Completion: 2017.